I’m not just saying hello from every language for the hell of it, it’s because we’re going around the world on today blog feature as we have the amazing Cute Maps; who is a brilliant and fabulous stationery designer from the UK that offer personal and original designs of maps from all over the world for any kind of stationary. 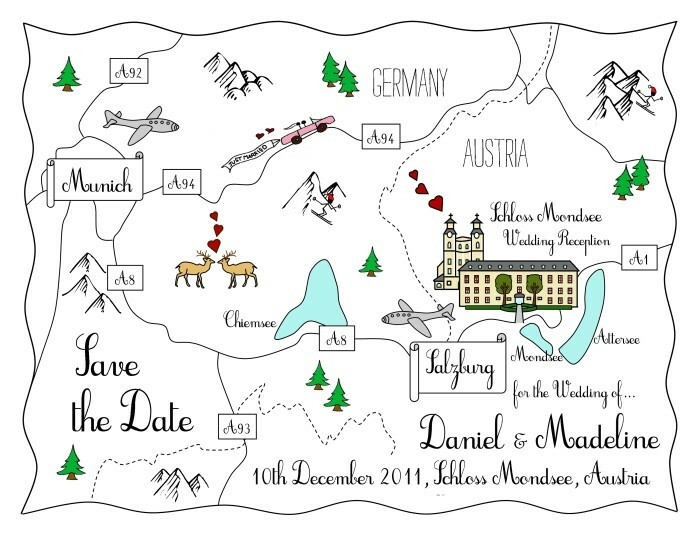 Basically Sheree the beautiful designer, designs a map as an invitation, save the date, magnet or anything else you can think of!! Hell I’m sure she’ll create a paper aeroplane as she’s that talented, even though you don’t have to be talented to create a paper aeroplane as I can do that. I’m sure you can understand what I’m trying to say? 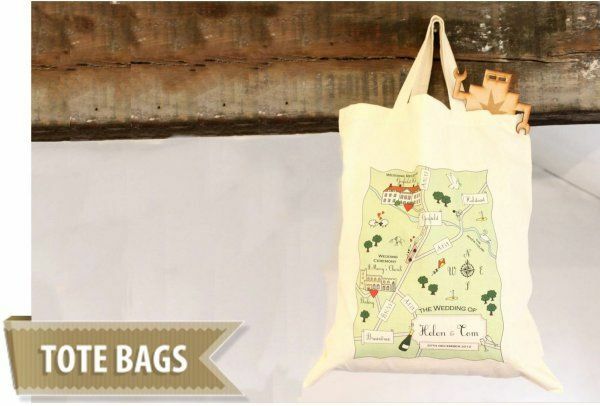 Sheree creates each design as a map of a personal location to you!! If it’s where you’re getting married, where you met, your first kiss, where you live, the moon, Sheree will create it and make it beautiful and wonderful!! 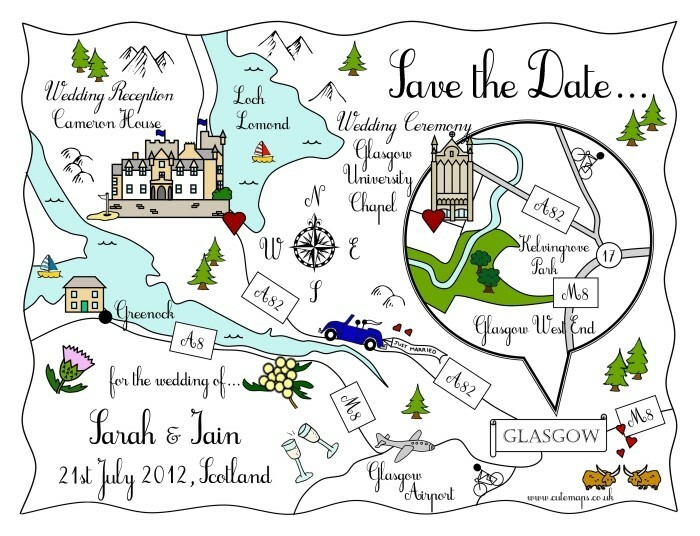 Cute Maps are custom maps individually tailored to depict a whimsical visual story and lasting memory of that special day. 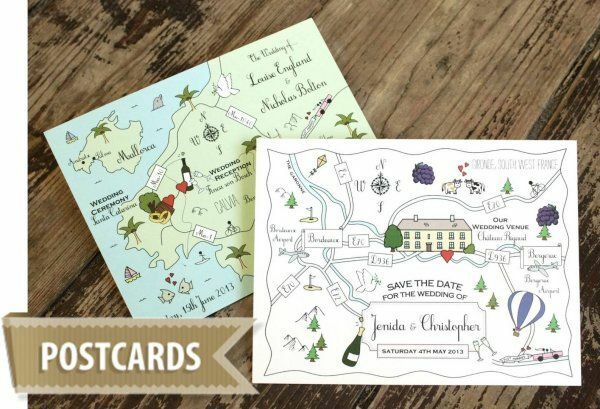 Quirky and fun, as well as informative, wedding guests immediately share in the journey of each Bride and Groom from the moment their invitation lands at their door. 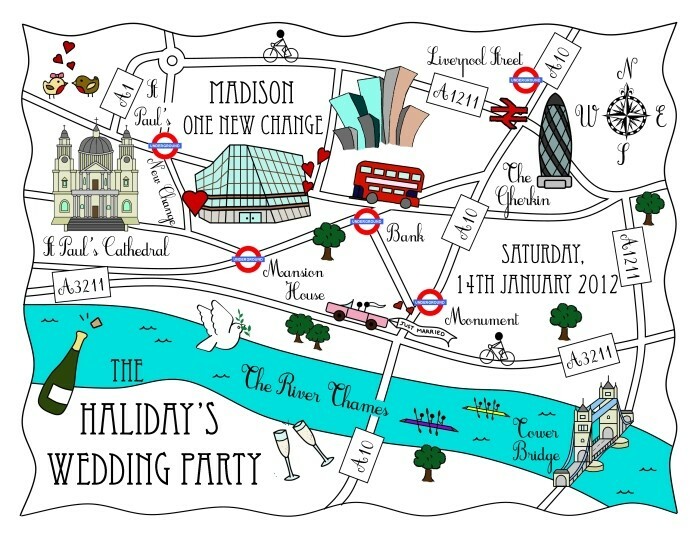 Each map design is ‘Utterly Bespoke’ meaning we start with a blank canvas – all locations are chosen by the happy couple, be it their venues, where they met or where they were engaged. We’re always excited to improvise, but motifs can also be drawn to their requirements; previous customers have chosen pets, hobbies, flags, flowers, cars and even their favourite Gin! What products are available in the stationery range? The collection ranges from full stationery suites to simple postcards so there’s something to suit all tastes and budgets. 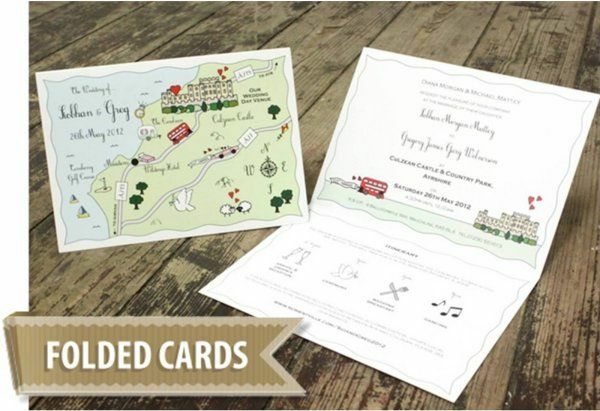 Cute Maps offer Save the Dates & Invitations, all the way through to Menus, Favour Tags & Thank You Cards creating a memorable paper trail throughout the nuptials. 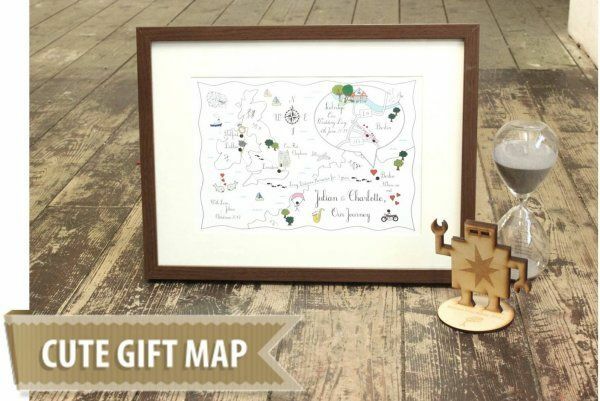 And now this winter we introduce the Framed Cute Gift Map that guests can commission for the betrothed couple, or can be ordered as a memento. Director/Designer Sheree began making Cute Maps for herself and friends. The success of these led to the launch of www.cutemaps.co.uk with instant orders coming in from across the world. Sheree states ‘Every map is a new challenge. I love that we can receive an order from any location worldwide and yet the creation remains personal and local to the bride & groom’. We receive so many unusual design requests from customers which we’d love to eventually offer to all customers. 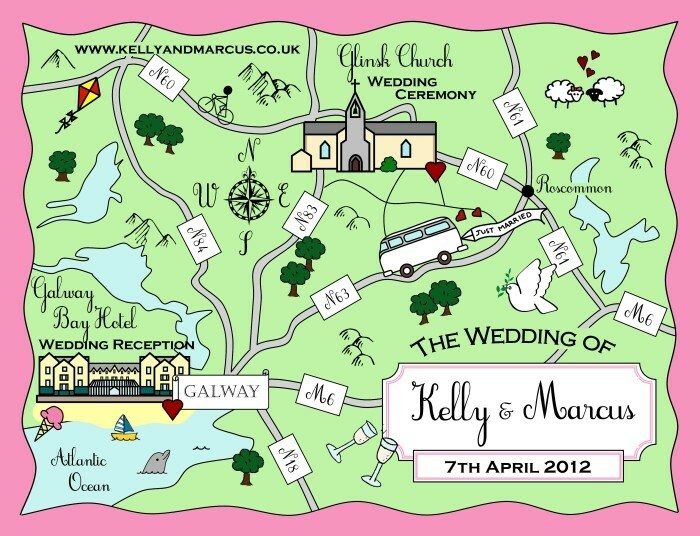 At the moment we’re building a web page on Cute Map table plans. 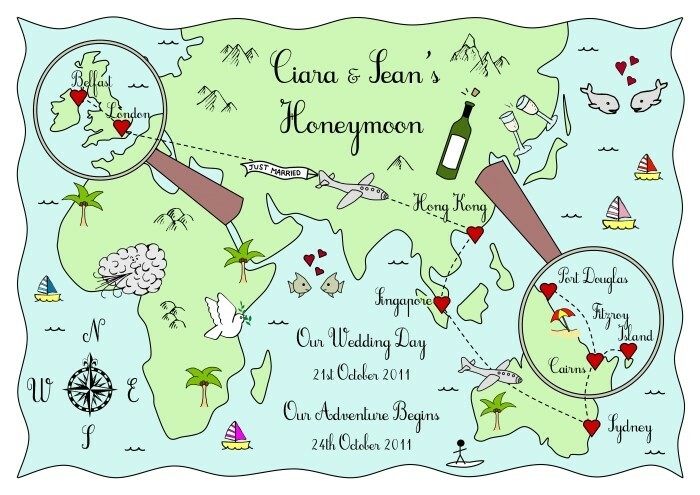 As well as simple matching table plans, we’ve previously created Road Trip, World Map and even Tube Map plans! We’re also expanding the matching stationery range to include Wedding Programs and a Tea Towel keepsake! Cute Maps are available at www.cutemaps.co.uk and at www.notonthehighstreet.com/cutemaps. View a small selection of maps at the online portfolio found on the website. Prices start at £98.00 for Design Only, £120 for x50 Standard Postcards, £200 for x50 Standard Folded Cards and £145 for x50 Save the Date Magnets. What do you think, fantastic right? Don’t you just love her? Well you know I do. I really want a magnet or tea towel (hint, hint :-)). I hope you’ve enjoyed reading why I love Cute Maps and if you need anything, please contact Sheree who will be more than happy to offer her service and advice where needed. This will go amazingly with my sister company, which is launching on Friday! Stay tuned and hay you may even see Cute Maps there too. Thanks for popping by ya’ll (I just love saying that at the moment). « 5 Reasons… To Design and Create a Feature Wall or Backdrop at your Wedding.